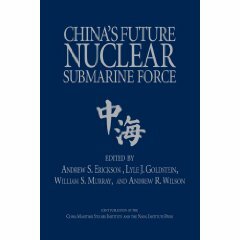 China’s Future Nuclear Submarine Force Gabriel Collins and Lt. Cdr. 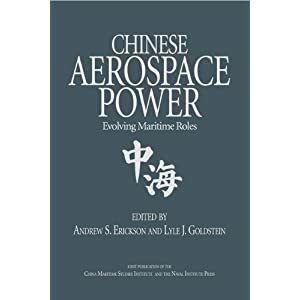 Michael C. Grubb, USN, A Comprehensive Survey of China’s Dynamic Shipbuilding Industry: Commercial Development and Strategic Implications, Naval War College China Maritime Study 1 (August 2008). China’s dynamic shipbuilding sector now has the attention of key decision makers in Washington. During testimony before the Armed Services Committee of the House of Representatives on 13 December 2007, Chief of Naval Operations (CNO) Admiral Gary Roughead observed, “The fact that our shipbuilding capacity and industry is not as competitive as other builders around the world is cause for concern.” Pointing directly to Beijing’s new prowess in this area, he concluded, “[China is] very competitive on the world market. There is no question that their shipbuilding capability is increasing rapidly.” The present study aims to present a truly comprehensive survey of this key sector of the growing Chinese economy. In doing so, it will provide decision makers and analysts with the clearest possible picture of the extraordinary pace of activity now under way in China’s ports, as well as the commercial and strategic implications flowing from this development. China’s rapidly growing shipbuilding industry has focused primarily on commercial vessels. However, the People’s Republic of China (PRC) government classifies shipbuilding as a strategic sector and has limited foreign shareholdings in Chinese shipyards and marine diesel and crankshaft factories to 49 percent. Viewed through a commercial lens, these actions raise World Trade Organization (WTO) compliance questions. 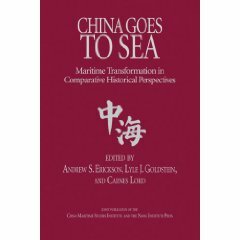 Strategically, this affirms that Beijing sees a strong shipbuilding industry, upon which it is able to exert considerable influence, as a central pillar in China’s maritime development. China’s shipbuilding industry benefited greatly from Deng Xiaoping’s defense conversion program. Compared to other defense-related enterprises, such as aerospace, the Chinese shipbuilding industry has enjoyed a much smoother transition to international competitiveness. This stems from timing and structural advantages. The Sixth Ministry of Machine Building was “corporatized” into the China State Shipbuilding Corporation in 1982, giving the sector nearly twenty-five years to grow into the force that it is today. Shipbuilders have also enjoyed a relatively high degree of bureaucratic freedom, a broad shift toward commercial shipbuilding, an increasing wave of opinion that China must become a maritime power, early experience in the international ship market (first delivery in 1982), substantial domestic ship demand (which served as a jumping-off point into the intensely competitive international marketplace), and access to a huge and low-cost labor pool. The Chinese shipbuilding industry is also increasingly focused on human capital. Chinese universities and maritime academies now produce nearly 1,500 marine engineers and naval architects per year, roughly seven times the number of such graduates from U.S. institutions. The large Chinese yards are also gradually emphasizing sound HSE (health, safety, and environment) practices, an important priority for many foreign ship buyers. Chinese yards are additionally realizing that the ability to hire and fire workers freely is an important tool that will allow them to build more productive workforces; Chinese yards’ per-worker production ($9,000) is an order of magnitude lower than Japanese ($550,000) and South Korean ($480,000) yards’ figures. 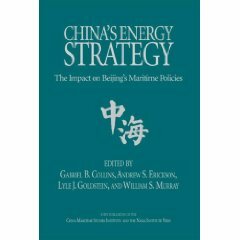 Finally, the large and growing number of Chinese involved with and exposed to the maritime industry creates a “strategic reserve” of knowledge and experience upon which the country can draw if sustained international tension ever creates the need to expand military ship production rapidly. Chinese yards’ have thus far primarily produced low-complexity ships, such as smaller tankers and bulk carriers. That said, the industry is now pushing to increase production of “high value” ships, including very large crude carriers (VLCCs), large container ships, cruise ships, floating production, storage, and off-loading units (FPSOs), and liquefied natural gas (LNG) carriers. Some sources note that China hopes to have thirty VLCC-capable building docks by 2015. China’s official goal by 2015 is twenty-four million tons of production capacity (35 percent of global capacity), which would make the PRC the world’s number-one shipbuilder. Commercial priorities are likely to dominate China’s shipbuilding industry for the time being. China’s growth could lead to a bifurcated global ship market, wherein China dominates low-complexity ship construction and South Korea dominates the high complexity end (LNG carriers, cruise ships, etc.). Under such a scenario, Japanese and European yards could lose badly. If the global shipping sector suffers a significant slowdown, China’s rapid and massive capacity buildup could leave Chinese builders in a serious financial bind that government orders probably could not fully offset. The activities of the massive new Longxue (Guangdong), Haixiwan (Qingdao), and Changxing Island (Shanghai) shipyards will be key indicators of China’s future intent with respect to balancing military and commercial shipbuilding. Each yard is more than 1,200 acres in size and if one were devoted to military shipbuilding, capacity would rise substantially from the current level. Alternatively, commercial operations at today’s Jiangnan shipyard (Shanghai) could all be moved to Changxing Island and Jiangnan dedicated to military ship production, which would allow the yard to be optimized for series production of selected warships. Thus far, Guangdong Longxue appears to be dedicated to commercial ship production; the yard was set to specialize in building 230,000-dwt ore carriers, 308,000-dwt VLCCs, 82,000-dwt bulk carriers, and 76,000-dwt crude/product tankers, as well as drilling rigs and other offshore energy equipment when it opened in March 2008. In addition, during wartime merchant ships might be adapted to serve as auxiliaries, amphibious assault ships, and minelayers. Accordingly, the growing Chinese-flag merchant fleet represents a degree of latent military potential. Indeed, Chinese analysts have closely examined Britain’s rapid conversion of forty-nine merchant vessels to military roles during the 1982 Falklands War. It should also be noted that the Chinese government maintains a vessel tracking system known as China Ship Reporting System, or “CHISREP,” to which all Chinese-flag merchantmen must ostensibly report, no matter their location. Knowledge of where these vessels are at all times across the globe could have military utility during a time of conflict. • Acquisition of ship tenders for long-range repairs or acquisition of overseas port rights, particularly in the Indian Ocean region.